Join us for lessons that probe into the depths of contemporary Torah thought, with a special focus on issues surrounding spirituality, the human psyche, love, and relationships. Every experience offers meaningful and timely lessons – from the most timeless of texts. You will walk away surprised, inspired, and knowing more about who we are as Jews, and who you are as an individual. 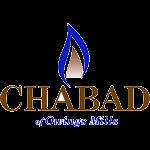 For more information, please contact us or call the Chabad Center at (410) 356-5156.